OK, Google, can you bring me a cup of coffee and then grade these papers? Did you know the iPhone has only been around since 2007? Yup, just over a decade ago, we had no idea what it was like to have a minicomputer in our pocket at all times. Now it’s hard to imagine living without one. While voice search is still an emerging trend, it’s also on its way to becoming indispensable for many, especially our students. With that in mind, we’ve gathered some of the best ways to use voice search in the classroom. In some schools, certain voice search devices are blocked from accessing the WiFi. 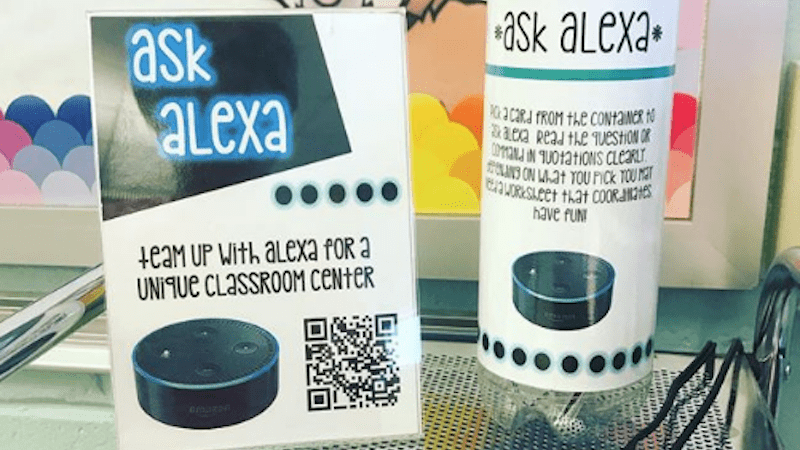 But there’s a good chance your classroom computer or laptop also has a built-in voice assistant, so you may still have options. 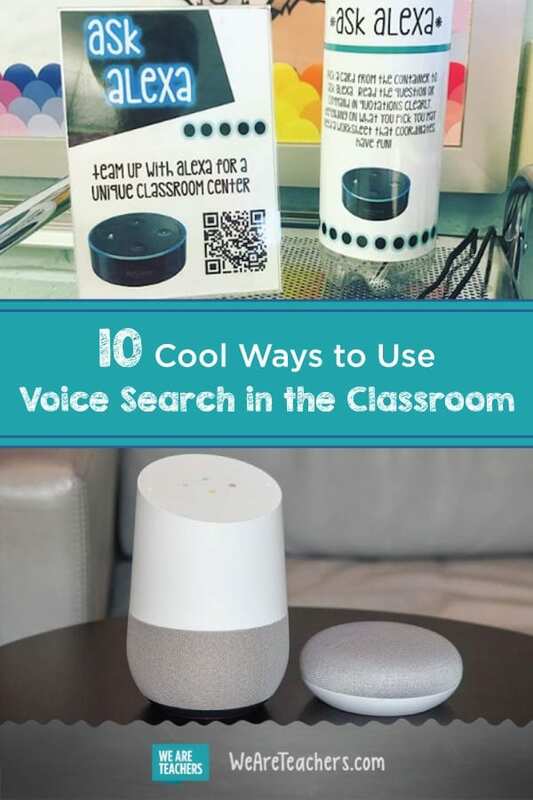 Consider these ways to access voice search in the classroom and talk to the person in charge of your school’s technology if you need help setting them up. Amazon Echo ($100): The excellent built-in speaker makes this a good device for classroom use. 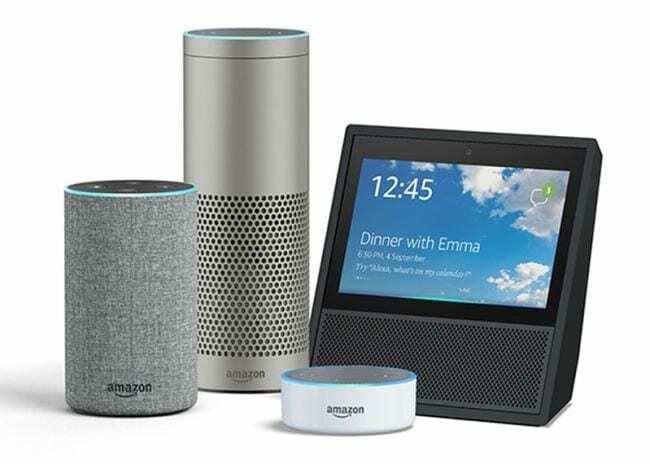 Amazon Echo Dot ($50): A smaller version of the Echo with a basic speaker (you can hook it up to your own speakers if needed). Amazon Echo Show ($230): This device has a built-in screen in addition to powerful speakers. Google is a top competitor in the voice search market, simply because Google is, well, everywhere. If you have an Android phone, all you have to do is say, “OK Google!” and the assistant is ready to answer your question or command. Google also offers devices that allow you to perform voice searches without needing to involve your phone. Google Home ($130): Similar to the Amazon Echo, the good-quality speaker is ideal in a classroom. 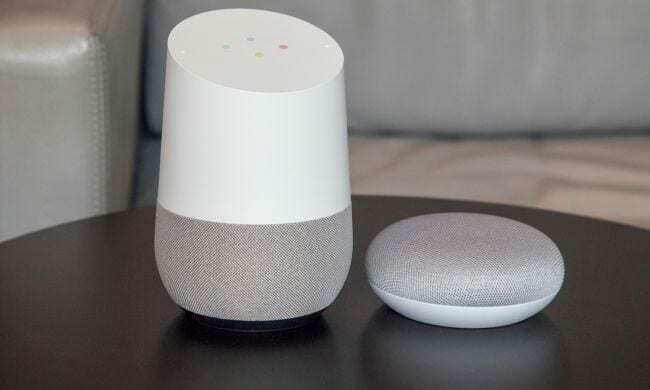 Google Home Mini ($50): Same functionality as the full-size Home, with a smaller but still good speaker. The first introduction most of us had to voice search was Zooey Deschanel plaintively asking, “Siri, is it raining?” in 2012. Since then, Apple has included the Siri assistant on every iPhone. 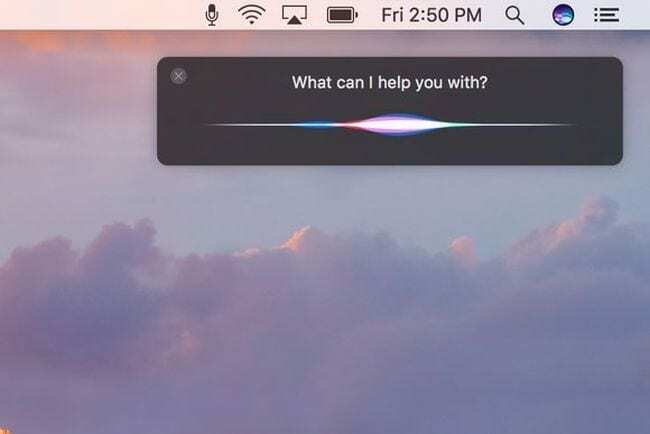 What you may not realize, though, is that Siri is also available on your MacBook as long as your operating system is macOS Sierra or later. 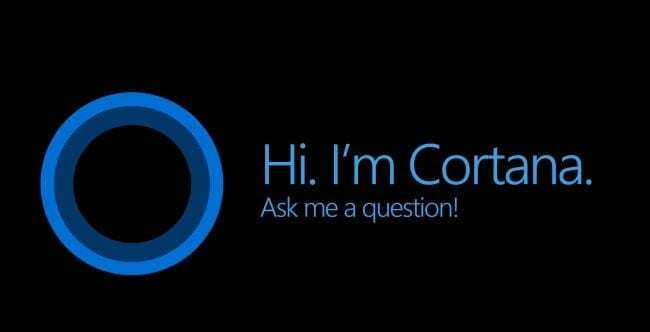 Learn how to turn Siri on and use it here. Once you’ve set up your voice search device, you may wonder how to use it. Really, the options are endless. Be open to the possibilities and give it a try in new situations. 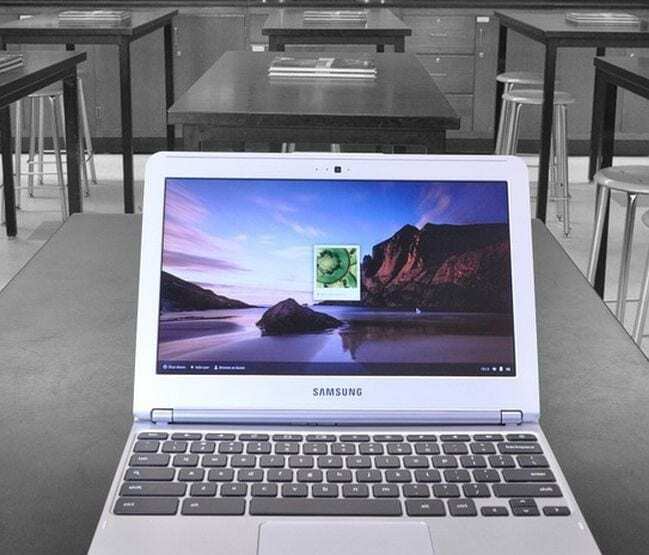 To get you up and running, here are some quick ways to use voice search in the classroom. 1. Find a quick definition. Sure, you want your students to be proficient using a dictionary, but sometimes it’s nice to get a quick definition so you don’t get distracted from your current lesson objectives. More and more teachers are using music in the classroom. Make it even easier to start your personal playlist or let students choose a favorite song as a reward for good behavior. Set a timer to count down while students complete a task or test or create an alert to let you know when only five minutes of class are left. Alexa devices are especially great for this, as they offer a variety of “skills” you can add. For instance, enable the Jeopardy! skill and get new clues each day. Perfect for bell-ringer activities or when you have a couple of minutes to fill at the end of the day. Think you’re randomly calling on students in class? Chances are you’re probably not as random as you think. Assign students numbers and then use voice search to ask for a random number in your range to choose whom to call on. Use voice search in the classroom to help translate foreign words and phrases when you come across them during a reading exercise. Or ask your device to help you and your class learn a new word or phrase each day. 8. Get a writing prompt. Writing prompts are great for bell-ringer exercises or daily journal entries. Use voice search to generate a random new topic easily whenever you want one. Storytime is often a favorite of both teachers and students, but sometimes you need to give your voice a break. Using voice search in the classroom to start an audiobook also allows you to work with students while others are listening to the story. Learning about birds? “OK, Google, play the song of the bluebird.” Talking about whales? “Hey, Alexa, play some whale songs!” Discussing the inspiring speeches of Dr. King? “Siri, play Martin Luther King’s ‘I Have a Dream’ speech.” The list goes on and on. Help us add to the list! Share how you use voice search in the classroom in our WeAreTeachers HELPLINE group on Facebook. Plus, ways to use Instagram in the classroom. What Should Teacher Training Programs Spend More Time On?